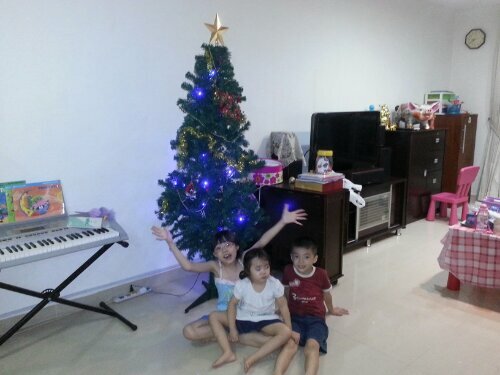 An initial simple decorations for the tree is up. 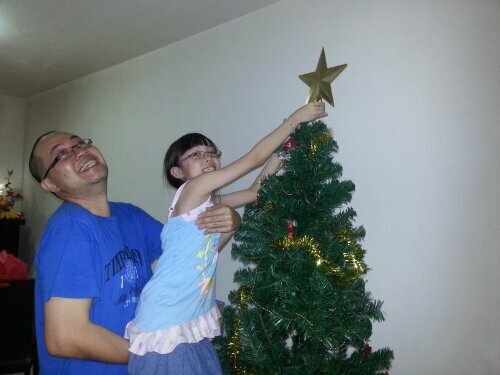 Amilie got to be the one to put the star. 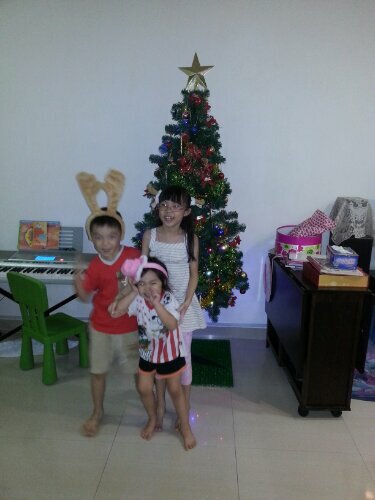 We lighted up the Christmas tree with Christmas music playing from the keyboard. Then we bought more decorations. 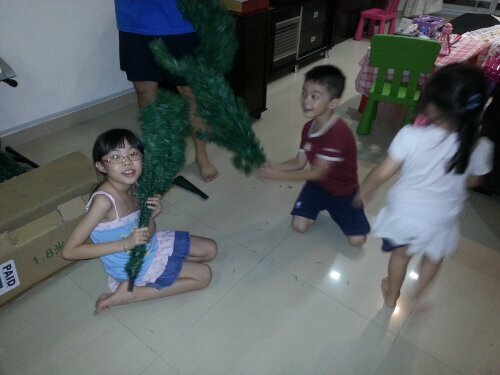 With the children reindeer, the Christmas decorations are completed.